The Gilmer Bobcat Wrestling Club hosted the 2016 “Bobcat Brawl” last Saturday at Clear Creek Middle School. 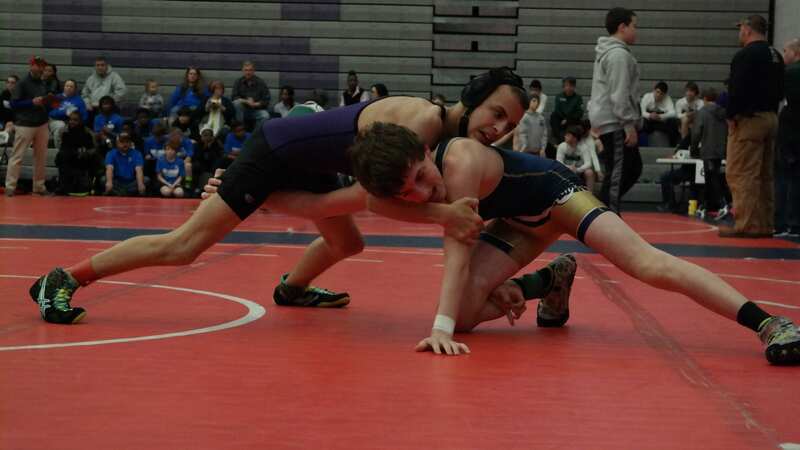 Gilmer made the biggest impact on the event, with a total of 71 wrestlers entering the tournament for the Bobcats. First-place finishers for Gilmer were 6U Isaiah Goodwin (60-65 pounds), 8U Hayden Berry (65), Nolyn Weaver (10U 70-75), 12U Ethan Cole (60-65), 12U Gabe Reimer (85-90), Jacob Cruz (165), 14U Arturo Gonzalez (70), 14U Tristian Christian-Kendall (84-91), 14U Logan Bentley (98), 14U Lucas Lopez (112), 14U Caleb Waddell (120), 14U Jose Velasquez (128), 14U Christian Cash (144) and 14U Dillon Early (265). Securing second-place bragging rights were 10U Carson Farist (60), 10U Bregan Berry (65), 12U Miguel Loraca (100), 12U Diego Jacinto (105), 12U Dylan Galloway (140), 12U Dawson Stephens (165), 12U Adan Cook (190-215), 14U Nathan Byrd (84-91), 14U David Reynoso (105), 14U David Lucas (136), 14U Michael Owens (136 and 144), 14U Luke Morgan (175-190) and 14U Kenneth Belchez (265). Third-place Bobcats were 6U Bryson Shore (40), 10U Angelo Spadaro (95-103), 12U Kellen Watts (75-80), 12U Cameron Goodwin (85-90), 12U William Lopez (100), 12U Joseph Sanford (112), 12U Bernardino Vicente (130), 12U Vincent Zilke (165), 12U Samuel Tercero (190-215), 14U Dylan Byrd (70), 14U Tristian Christian-Kendall (98), 14U Daegan Addington (112) and 14U David Lucas (144). Garnering fourth-place for Gilmer was 8U Cooper Cochran (75), 10U Eduardo Gonzalez-Santos (87), 12U Tyler Kirkland (100), 12U Ronald Pierce (105), 12U Kobe Stonecipher (112), 12U Edgar Garcia (130), 12U Owen Moss (190-215), 14U Grayson Patterson (98), 14U Jonathan Wimpey (144), 14U Chad Weaver (152) and 14U Enrique Vicente (160). Taking fifth-place for Gilmer was 10U Jaedyn Finley (70-75), 12U Grant Cochran (112), 12U Bryer Disher (140), 12U Austin Chastain (165), 14U John Gaines (120), 14U Kolby Smith (136), 14U Carlos Lopez (144), 14U Abel Jacinto (160), 14U Skylor Burke (175-190). Rounding out the crowded finishing pack was 12U Alex Smith (112) and 14U Bryson Sisson (136), who both placed sixth. For the Dragons Junior Wrestling Club, 10U Cruz Marinelli (80) and 14U Dalton Brunner (160) both finished in third place. 12U Pierce Marinelli (85-90) took fourth place, while 6U Easton Collins (40) placed fifth. The Fannin Rebel Wrestling team featured a second-place finish from 6U Reid Summers (40), third-place finishes for both 10U Blake Summers (60) and 14U McCay Turner (105), 14U Gabriel Summers (120) placing fourth and 10U Blake Summers (65) finishing in fifth place. The next USA Wrestling event will be the Big Kid’s State Qualifying Tournament, to be held Feb. 27, also at CCMS.